oh my dog Dino!!! you are famous!!! woffy! we are so stoked to be friends with a celebrity! 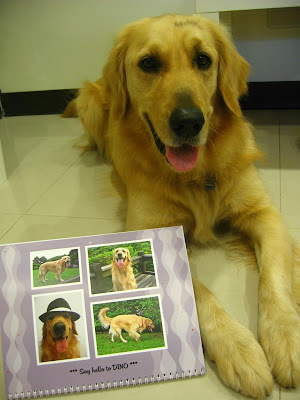 can we have your pawtograph? missed you lots handsome doc! Congrats on being Mr. July. We love your pictures. You are quite stunning! Love your pictures. You are a true doggy super model. Wow. You're a model. You're on a calendar. We could almost make our own calendar but it would have to be a 9 month year. Hehehe. Pawesome! 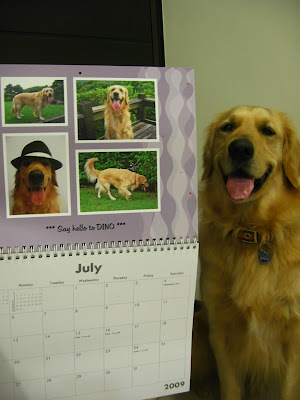 Yes, you are Mr. July! OMD you're a super model! You'll be makin the big bucks now for your photo shoots. I feel so lucky to know such a famous dawg! Wow! You're a very famous dog! You should become a super model! Wow, you are famous kind of! Hello, Dino! We love the picture of you with the hat. 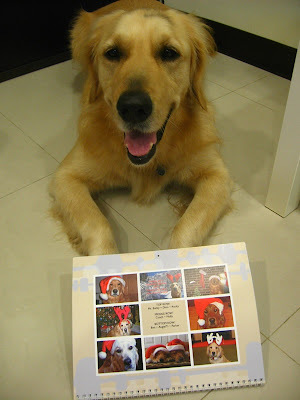 Oh what a cool calendar - Dino, you're famous!! DINO, you look soooo fqancy on those photos! That one with the hat is bootiful, you look like Justin Timberlake! what a cool calendar!!!!!! you're famous!! we're very proud of you!!!!!!! but...can we have or buy a copy of your calendar??? we will be very happy and honored to have one of it!!!!!! we miss you and love you a loyt!!!!! Stop by when you can. We gave you an award. Hello July celebrity, may I have your autograph? I love you with the hat, you're cool, very cool, Dino. Please swing by my blog to see Springtime, Dino. Congrats Dino! 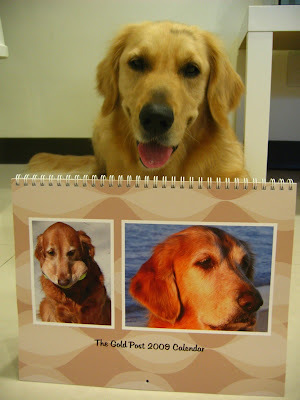 You look so cool in that calendar! You are July boy.I am August girl. It is a very wonderful calendar.